Rekawa is a small village near Tangalle, in the district of Hambantota in southern Sri Lanka. The village lies in between Rekawa Beach and a large saline lagoon surrounded by extensive mangrove forests. 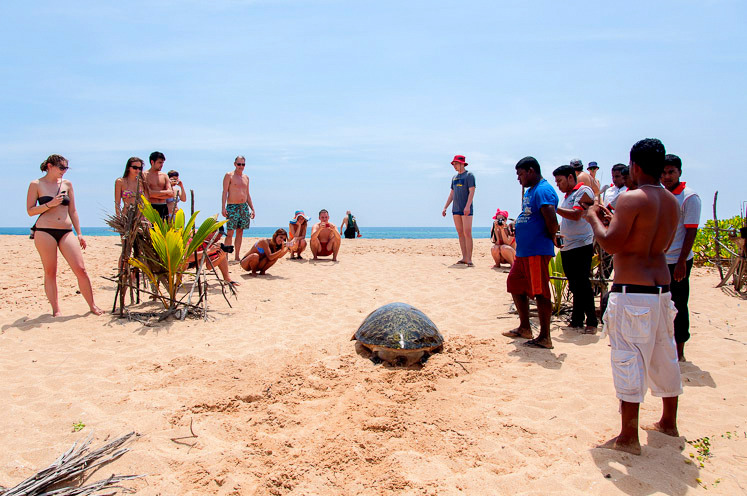 Rekawa Beach is the most important turtle nesting beach in Sri Lanka and the village of Rekawa knows a very high biodiversity. From 1996 till 2000 TCP worked towards the establishment of a sustainable "in-situ" nest protection (in the natural environment) and research programme in Rekawa. In 2000 the survey and egg protection was handed over to the governmental Department of Wildlife Conservation. Nowadays Wildlife officers move the eggs, just after laying, to a protected area on Rekawa Beach (ex-situ protection). In August 2003, TCP started a new program in Kosgoda including research and in-situ nest protection. TCP has also established a small community library in Rekawa and has carried out English language classes in Rekawa since January 1994. Volunteer teachers still teach English to improve the knowledge of the Turtle Watch guides. TCP is also sponsoring primary schools in Rekawa, Kalpitiya, Bundala, Panadura and Kosgoda (teaching materials, equipment). Education & awareness exhibitions are held and TCP staff runs a school lecture program in the coastal areas of Sri Lanka. The Turtle Watch evenings take place on every day of the year. A booking in advance is (not yet) necessary. 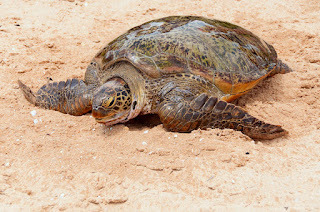 High season for turtles: April – July. Approximately 5-15 turtles between sunset and sunrise. Low season for turtles: October - January. Approximately 1-2 turtles between sunset and sunrise. Start daily at 8.30pm. Please make sure to arrive before 9.00pm latest to make sure you don’t miss any early turtles. 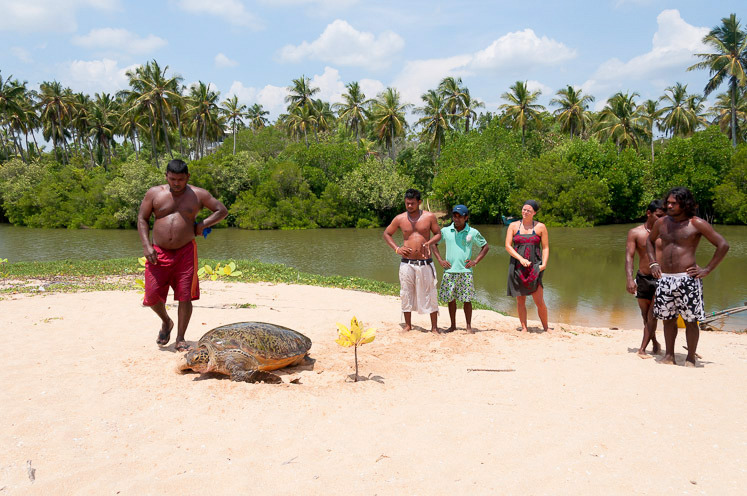 To keep the disturbance to turtles low, we usually only try to show you one nesting turtle. only show turtles that arrive before midnight. As long as there is no turtle spotted by our nest protectors, we remain waiting at the Visitor Center. If, especially in low season, no turtle has arrived before 11.30pm, the guide will usually call it bad luck and end the turtle watch. At the beach we put the interests of the turtles first. This means we wait until she is finished digging her nest and only watch her when laying eggs (in smaller groups) or when she is going back (only from behind). Waiting for the turtle might take one to two hours or more. You are NOT allowed to use flash or white/yellow torches. If a turtle is on the beach, you can get your admission ticket before entering the beach. If by any chance you won’t see a turtle (e.g. it returned to sea before you arrived on location), you can ask for a refund (by handing in your ticket) but all support for conservation is still very welcome – this is a self-sustainable community project, with no external funding. 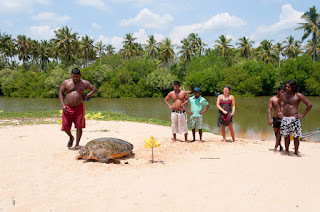 Tickets are 1000 Rupee per person, 500 for children, when seeing a turtle. Locals (Sri Lankans) pay 150 Rupee.With the money you help protect the beach and turtles. Please keep in mind that this nature spectacle is very special. Turtles are a vulnerable (even endangered) species and we are guests on their beach – not the other way around.